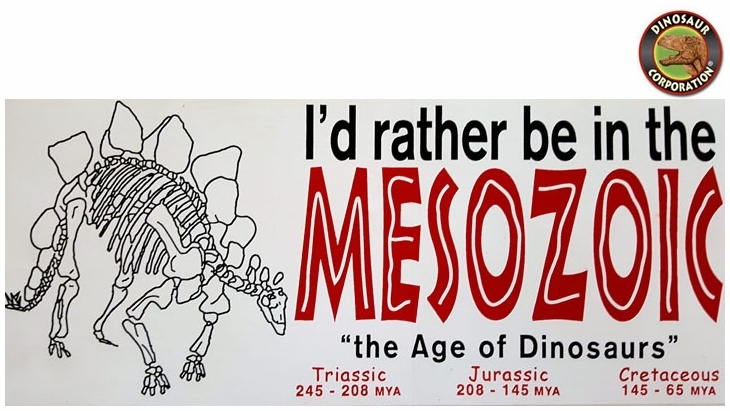 Dinosaur bumper sticker I would rather be in the Mesozoic. " The Age of Dinosaurs". * Great to decorate your suitcase when traveling to the Jurassic World. * Size: 8 3/4" x 3 3/4"